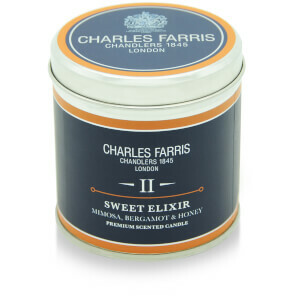 The Signature Pinetum Candle will fill your home with the festive scent of pine, fir, balsam and cinnamon, inspired by the comforting fragrance of a traditional British Christmas tree, blending eucalyptus, birch leaves, amber and sandalwood essential oils and fragrances. 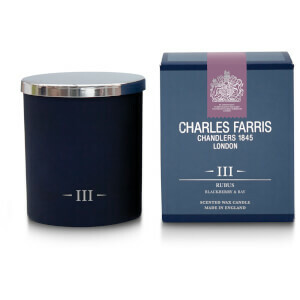 Hand-poured in England by luxury candle makers Charles Farris, who have been hand-crafting candles in the heart of the city of London since 1845 and hold a Royal Warrant to Her Majesty the Queen. 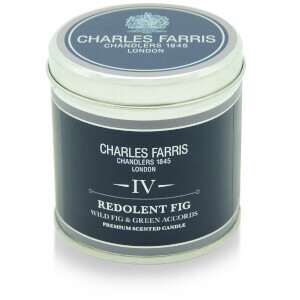 The candle is made from premium quality wax to ensure an even burn. 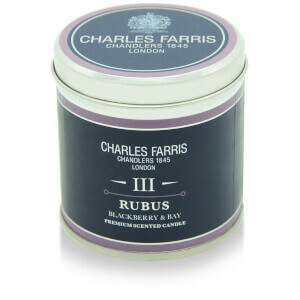 Presented in a smart silver and grey lidded tin with a navy blue label, it is ideal for travelling and gifting.